A patient’s engagement with self-management activities, alongside adherence with preventative medication and optimal inhaler technique, are major contributors to control in asthma. 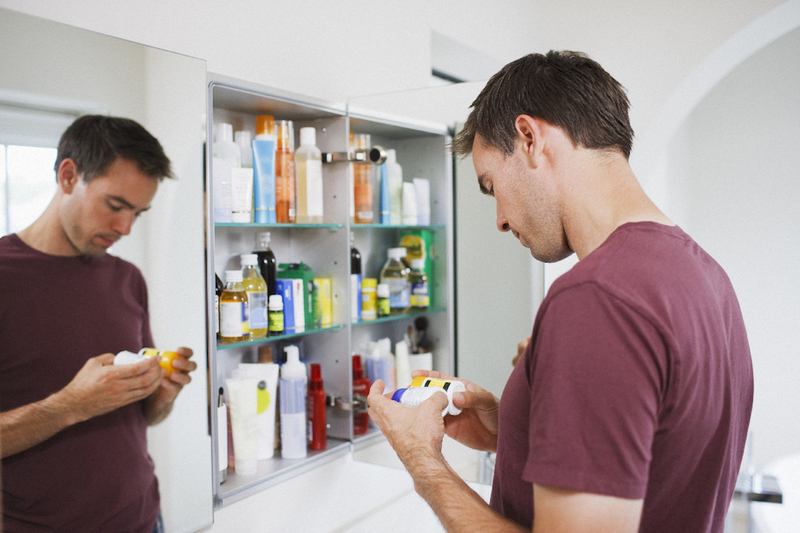 Lack of or sub-optimal adherence may be intentional or unintentional. Additional resources are also available in the Asthma Handbook. Non-adherence to prescribed medications in severe asthma is an important problem. It is incorrect to assume that disease severity will result in better adherence. In patients referred to a UK severe asthma service, 35% of new referrals were filling 50% or less prescriptions (Gamble et al. 2009). Patients with poor adherence have been found to have lower lung function and higher airway eosinophils, along with poor asthma control (Murphy et al. 2012). Unintentional non-adherence is unplanned by the patient. Causes include patient factors such as forgetfulness or poor inhaler skills, and factors beyond the patient’s control such as inability to obtain prescribed treatment. For some patients, cost is a particular concern (Ampon et al. 2009). Intentional non-adherence is when a patient actively decides not to engage with particular treatment recommendations, in light of their health beliefs, concerns and perceptions. Patients may not understand the chronicity of their illness, and the need for preventers, for example, to be taken regularly without interruption. They may have concerns about the safety or long-term effectiveness of treatment. Comments from friends and family, or perception of side effects, may also inform such views and concerns (Foster et al. 2012). Patients may perceive their asthma as well controlled although this may not reflect guideline-defined criteria or the expectations of their clinicians (Bosnic-Anticevich et al. 2017). They may seek to manage their symptoms using relievers in preference to regular use of preventers. Prof. Tim Usherwood discusses adherence to long-term medication in Episode 6 of the Australian Prescriber Podcast, available here. It is important to ask patients about their self-management at every consultation. Such inquiry should be non-judgmental and collaborative. It is often helpful to normalize non-adherence with a statement such as “Many people don’t take their medication as prescribed”, and then to follow up with an open question (e.g. “How are you going with your inhalers?”) before asking directly about missing doses (e.g. “Just thinking about the last week – have you missed taking your preventers on any occasion, or ‘how many doses of your preventers have you missed?”). Disclosure can be followed up with more detailed enquiry and discussion. Further information is available on the NPS Australian Prescriber website. In the severe asthma population, non-adherence can be particularly important. If non-adherence is not recognised, it may be interpreted as a poor response to treatment. This can lead to an unnecessary escalation of therapy or addition of add-on treatments. Escalation of treatment dose is unlikely to improve symptoms if adherence is not addressed. The use of unnecessary add-on therapies can contribute to increased healthcare utilisation and expenditure. Objective assessments of adherence have been used, from prescription filling data, the use of electronic counter devices or in the case of oral prednisolone, the measurement of serum prednisolone and serum cortisol. For further information we recommend (Lindsay et al. 2013). Canister weighing of pMDIs can provide objective evidence of the number of doses dispensed. Dose counter monitoring of DPIs can provide objective information on the number of times the device has been used. Electronic inhaler monitors (or data loggers) are available for many pMDIs and some DPIs. Monitors record when medications are taken. Some devices also have audio recording capability, which can provide additional information on inhaler technique. Some devices also provide reminder notifications. Elevated fractional exhaled nitric oxide (FeNO) levels may be indicative of non-adherence to ICS therapy. FeNO suppression testing consists of serial FeNO measurements in conjunction with objectively observed ICS administration for 5-7 days (McNicholl et al. 2012), e.g. with an INCA device. A reduction in FeNO levels is indicative of treatment non-adherence. Where prednisolone is prescribed, direct serum assessment of prednisolone or cortisol can be performed. Low levels are indicative of non-adherence or poor absorption. Records cannot provide direct information that a patient is using their medications. However, they can provide evidence that insufficient preventer medication is being purchased for adherence to be possible. Records may also provide evidence that large amounts of reliever medication are being purchased, which may be suggestive of poor asthma control. Prescription records are not available in all areas. Findings from these approaches can be a useful to complement discussions between the clinician and patient and identify underlying reasons for treatment non-adherence. Shared decision making, in which the clinician and patient negotiate a treatment regimen that accommodates the patient’s goals and preferences, has been shown to improve adherence and clinical outcomes (Wilson et al. 2010). Development with the patient of their personalised written asthma action plan provides a structure for, and record of, this conversation. Evidence based strategies for promoting patient’s adherence to preventer medication include education, simplification of the inhaler regime, and electronic reminders (Normansell et al. 2017). It is important to discuss strategies for ensuring regular preventer use. Strategies that help patients remember can be discussed in partnership, for example, keeping their preventer inhaler on their bedside table (or other cool, dry place), or have a spare at their workplace. Many patients find an electronic alert attached to the inhaler, or on their mobile phone, to be a helpful reminder to use their inhaler (Foster et al. 2017). Where appropriate, prescription of combination inhalers can reduce regime complexity and may also reduce prescription costs. Many interventions to promote adherence can be delivered or supported by multidisciplinary health professionals, including practice nurses and pharmacists. The latter can discuss adherence at the time of dispensing, and recommend lower cost brands when available.